It’s Spring and time for the most beautiful insect to emerge from the cocoon! 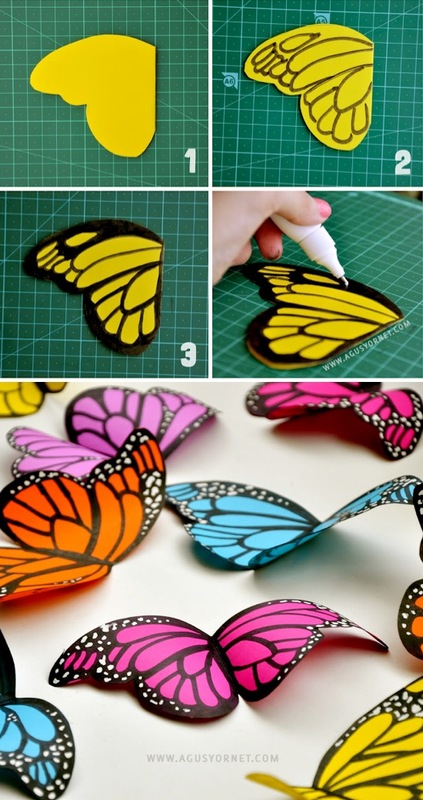 Time to make some DIY Paper Butterflies to celebrate the season of the Monarch. These pretty little paper butterflies could come in handy if your are looking for a spring craft project! Use these DIY Paper Butterflies to decorate a room, place on bookmarks, or to add accent to a potted plant! Make them in any color you choose. A white out pen is a must in my office, but now, I can use it when making a realistic looking butterfly! Flutter on over to Agus Yornet for the easy tutorial and tips on making them look realistic. She also has the perfect butterfly wing template!